Purchase: The minimum credit score for a purchase loan with Fannie Mae is 640, and that is only acceptable when you have 12 months of liquid cash reserves AND are fronting a down payment of 25% or greater. Cash-Out Refinance: The minimum credit score for a cash-out refinance with Fannie Mae is a 700, and that is only acceptable when you have at least 12 months of liquid cash reserves. 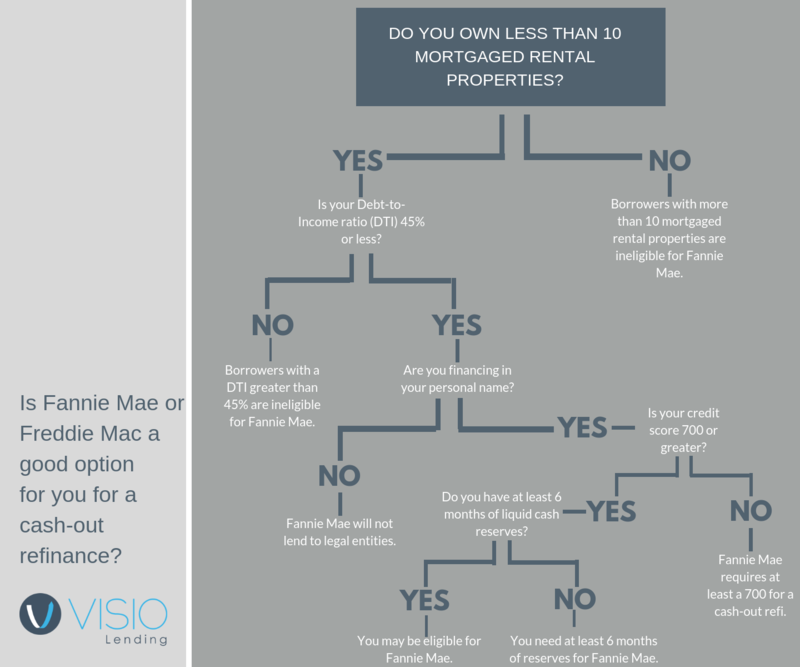 Want more help in determining if Fanie Mae is a good option for you? Download our Decision Tree.